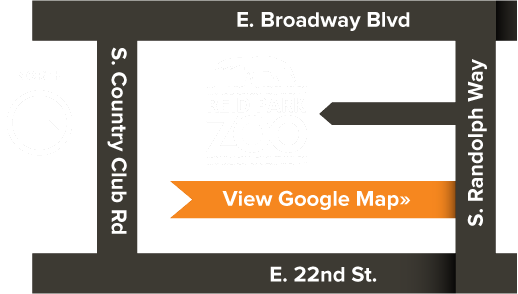 Fill out the following information to purchase a Reid Park Zoo Corporate membership. Enter the gift recipient's information here. Only valid coupon codes will apply. You will see the deduction prior to checking-out. If the deduction does not appear, the coupon code you have entered is not valid. Consider adding $1, $5, or more to help support Your Zoo. Please confirm the total amount before submitting. Memberships are non-refundable and coupon codes can not be refunded after payment is processed. If submission is taking longer than normal or your coupon code is not working, please contact the Membership Office (520-881-4753). Your membership may be tax deductible, please see a tax advisor for details.